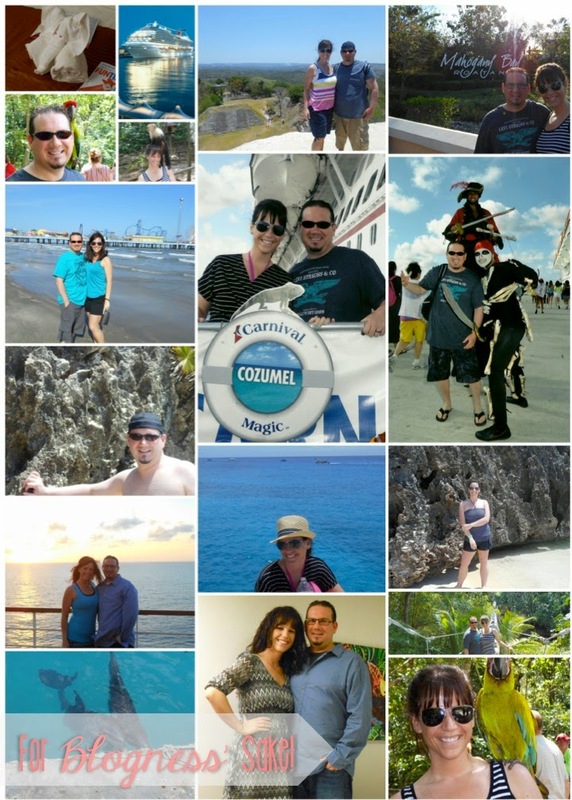 After a long Utah winter, my husband and I decided that we needed a vacation and a Caribbean cruise would be the perfect selection. 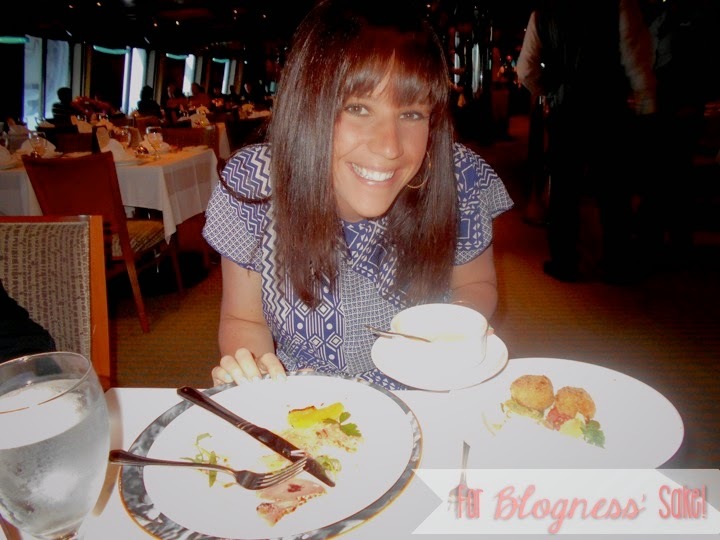 As I prepared for my cruise, I knew that I wanted to let go a little and relax. This included my food choices. BUT, I did not want to go on a binge and then feel like crap. I had to be careful and I had to have a PLAN. 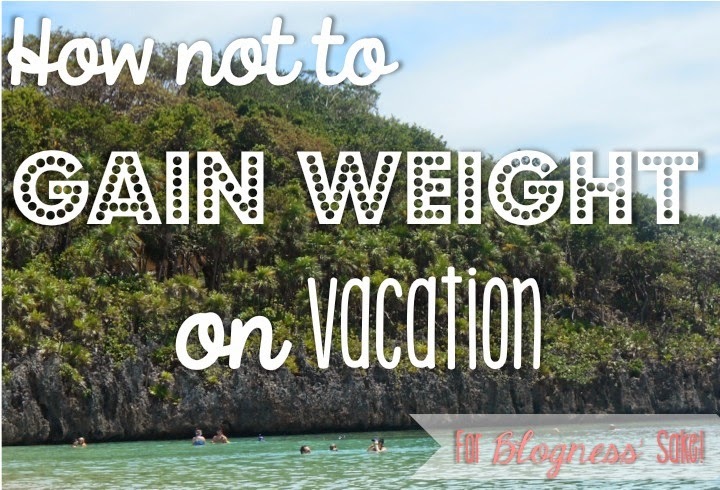 I weighed myself the day we left for our vacation. That was my "stick with it" number. 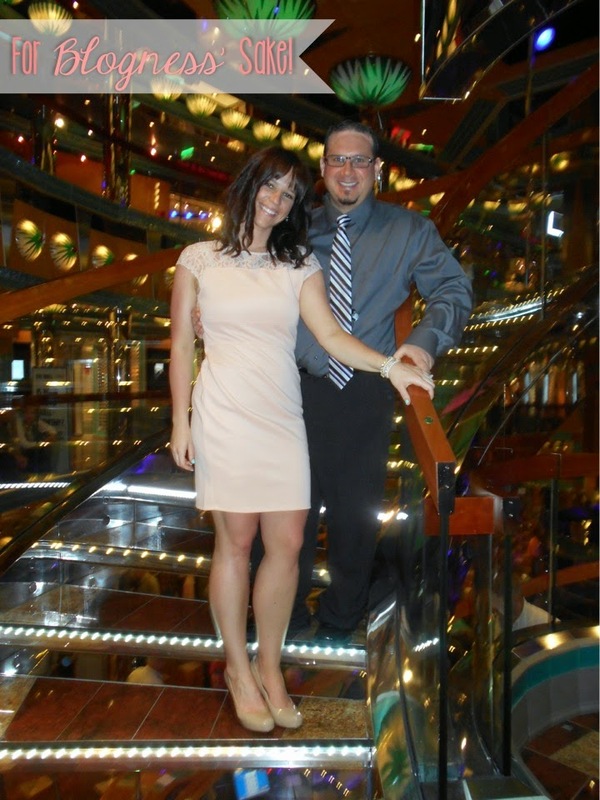 We cruised for 7 nights. After we got home, I waited 4 days to weigh myself (water retention). Guess what? I did not gain one pound! I was the same weight as the day I left for my cruise. How did I do it? Here's what you need to know (hint- it's not much different from my every day life). My plan was to have a mostly healthy breakfast AND lunch each day. If there was something new I wanted to try, I just had a tiny portion. For dinner, I would splurge and have whatever I wanted as long as I didn't get "sick full". Once I started to feel full, I put my napkin on my plate and had the waiter take it away. It worked like a charm. My husband and I got our own starters, plus we got an extra one to share (we wanted to try it all). For the main entree, I just had what looked good. On our last day, I had 3 cheese macaroni and cheese with grilled chicken and bacon. YUM. For desert, we both ordered our own and then split another desert. I definitely never felt deprived! I decided that I would pack my workout clothes just in case I wanted to burn some extra calories. I didn't put any pressure on myself to workout. I actually woke up 4 out of the 7 mornings on our vacation and WANTED to workout. I headed to the cruise gym and ran on the treadmill for 20 minutes and lifted weights for 20 minutes. On the other days, we had early morning excursions planned and I wasn't about to wake up before the sun. Now, I get it...not all of you want to go to the gym on your vacation. That's ok! Just move more. Go on a walk on the beach, lap swim in the pool, or choose an excursion that requires some walking. 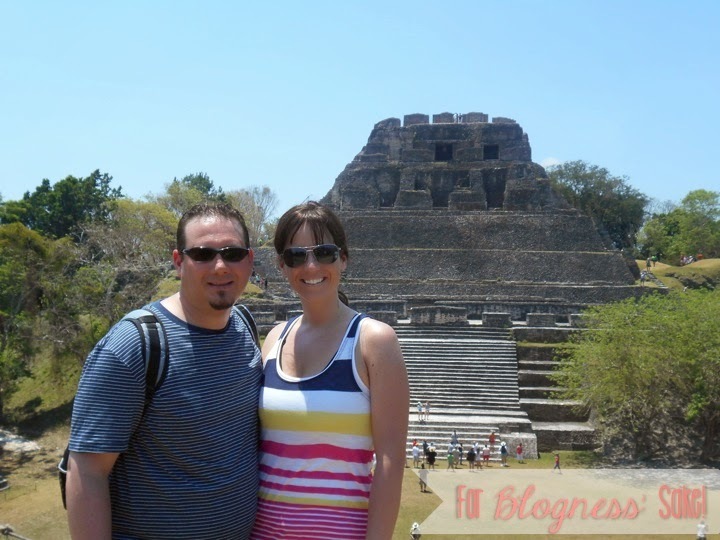 We did the Mayan Ruins and it was amazing. We walked and walked and in 100 degree weather in Belize, but it was worth it. Plus, we burned calories and learned a little history at the same time. 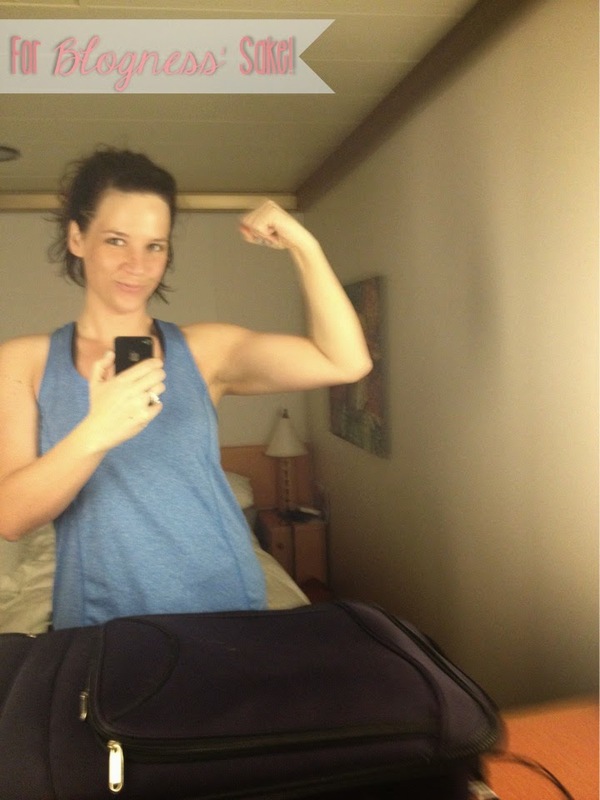 This is PROOF I worked out on the cruise. It's a flex break in our tiny stateroom cabin. I drank 150 ounces of water every day. It was very hot out and I knew that if I didn't drink enough, I would feel miserable, get bloated, and retain a lot of water. This is one of my best decisions! I drank only water (and coffee) on the cruise and I didn't even care. If I would have wanted to have a lemonade, I would have had one. But, I didn't even want those calories... I wanted my calories in the form of chocolate pie. I didn't drink soda or alcohol while on my cruise, but if you choose to do so... just make sure you limit yourself. Those empty calories can leave you feeling like crap and how can you dress up on "formal night" feeling like that! I wanted to make sure that we brought some extra snacks in case we got the "midnight munchies". We brought Kind bars with us just in case. I'm so glad we did! There were times that we were out on the beach and I got hangry (hungry+angry). I was so glad to grab a Kind bar and feel satisfied until it was time for lunch. I would also take an extra banana at breakfast to snack on while I was lounging by the pool. It's the little things that make the biggest difference. 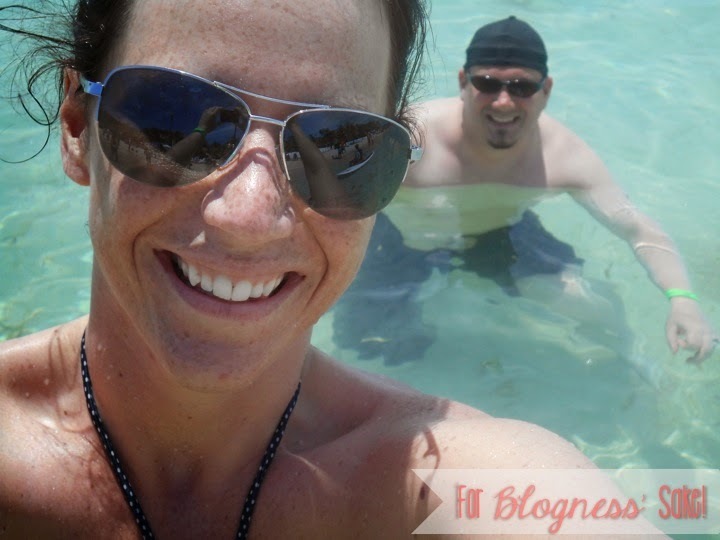 We did a Carnival Cruise and we loved it (it's our second one). Look at those MUSCLES! Get it girl! What's your total weight loss at now? You are just such an inspiration! You make me want to go on a cruise....you make it look so fun, and so easy. These are great tips! Thanks for making it seem "doable"!! I did that cruise a few years ago and LOVED it! However; I don't think I returned home with no weight gain :) Perfect tips! You are inspiring!! It's A very nice post. I Think Weight & good personality is very Important in human life and Herbal & natural way is best way to gaining your weight and make a good looks .